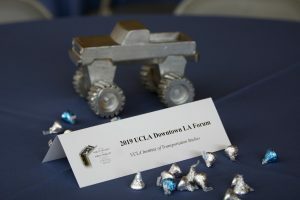 The congresswoman will speak to elected officials, government and business leaders, UCLA scholars, civic leaders and others in the nonprofit and philanthropic spheres at a half-day inaugural conference at the Luskin Conference Center at UCLA. The Luskin Summit is designed as a research-informed, cross-sector conversation about major issues facing the Los Angeles region. 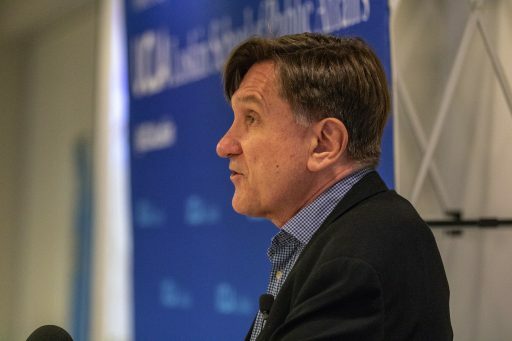 Following Bass’ remarks, participants will attend breakout sessions moderated by UCLA faculty members that will focus on issues such as public mobility, climate change, housing and criminal justice. 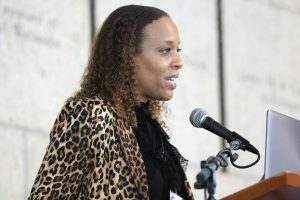 Bass is expected to speak about her efforts at the federal level to advance Los Angeles’ perspective on such vital issues as housing equality and access to public transportation. 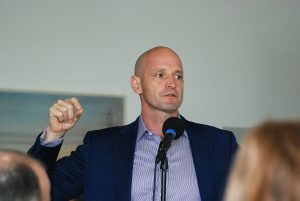 Bass, a Democrat, has represented California’s 37th congressional district in the U.S. House of Representatives since 2013. She represented the 33rd congressional district from 2011 to 2013. She served in the California State Assembly from 2004 to 2010, and was Assembly speaker from 2008 to 2010 — the second woman and third African American to hold the position. The conference will close with a panel discussion featuring mayors from four cities in Los Angeles County — Emily Gabel-Luddy of Burbank, Thomas Small of Culver City, James Butts of Inglewood and Tim Sandoval of Pomona. The moderator for the mayoral panel will be Adrienne Alpert, a general assignment reporter at KABC-TV who hosts the Los Angeles station’s weekly public affairs program, “Eyewitness Newsmakers.” Alpert is also scheduled to introduce Bass when the summit gets underway at 8:45 a.m.
Also on the agenda for the Luskin Summit is the release of results from the 4th annual Quality of Life Index, a project at UCLA Luskin that is supported by The California Endowment under the direction of longtime Los Angeles political stalwart Zev Yaroslavsky, director of the Los Angeles Initiative. The survey asks county residents to rate their quality of life in a range of categories and to answer questions about important issues facing them and the region. Secretary of State Alex Padilla, a former colleague of Yaroslavsky’s on the Los Angeles City Council, is among other elected officials who are expected to attend. 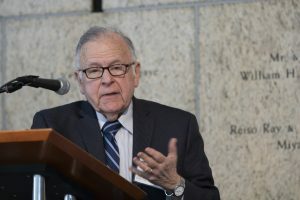 Luskin Summit 2019 will precede the 49th Annual Conference of the Urban Affairs Association, which begins later that day and continues through April 27 at the Luskin Conference Center. This conference will bring together more than 1,000 multidisciplinary and international scholars to discuss urban-focused research, with plenary and special sessions featuring local and global experts on urban issues. News media representatives interested in attending the Luskin Summit and/or covering the release of the Quality of Life Index may contact Les Dunseith, executive director of communications for the UCLA Luskin School of Public Affairs, at (310) 206-5252 or ldunseith@luskin.ucla.edu. Across the country, public transit ridership has been declining. But that isn’t the story in Seattle. Terry White, deputy general manager at King County Metro Transit, said that can be attributed to the agency’s community efforts. 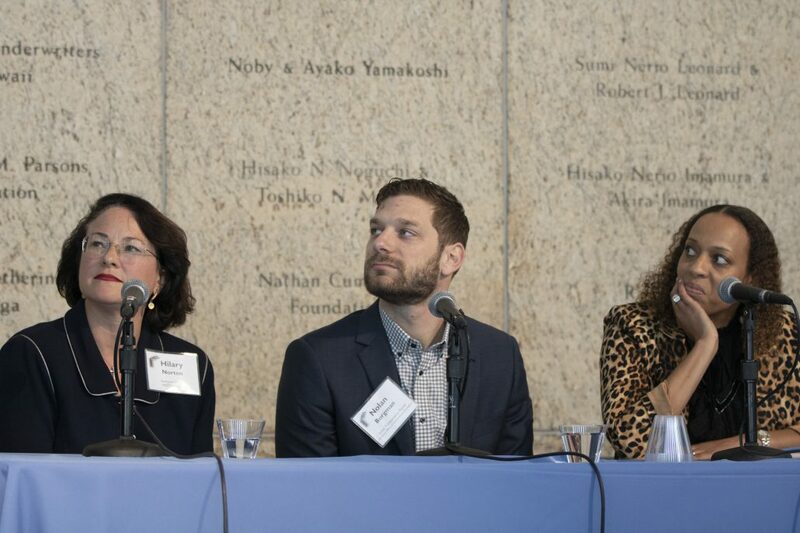 Speaking at the UCLA Institute of Transportation Studies’ 12th annual Downtown Forum on Transportation, Land Use and the Environment held March 1, 2019, at the Japanese American National Museum, White said an organization that doesn’t reflect its community will lose trust. King County Transit, which most recently won the American Public Transportation Association award for outstanding transit system, makes more than 400,000 trips per day and has seen all-time-high ridership as more people move into the Seattle area. Joining White at the forum were UCLA scholars, and government, nonprofit and private sector representatives who share other real-world examples of how to tackle declining transit ridership, especially in an era of emerging mobility services. The forum focused on successful public-private partnerships that could fill gaps in transportation services. Other topics included effective uses of data to manage mobility, practical innovations that can yield great gains for transit ridership, and how new mobility technology and services can enhance equity and quality of life. Speaking specifically to how a big-city transportation department can put equity first was Ryan Russo, director of Oakland’s Department of Transportation, which was recently formed as a new model of urban mobility centered around progressive policies that aim to recognize and address past injustices. Russo said the Bay Area city’s legacy of redlining is still seen and felt throughout the area, which means that departmental projects must be considered through an equity lens. Dedicated monthly meetings are held to strategize ways of infusing equity into projects. For example, Paint the Town combined community art and traffic safety through street murals. For every project approved in less disadvantaged communities, at least two were approved for low-income neighborhoods. In light of the proliferation of private mobility companies, the forum discussed different ways the public sector could partner with these companies to meet transportation needs. One example came from HopSkipDrive, a ridehailing service for school-aged children, which partnered with Los Angeles County to provide free rides to foster youth. Under the Every Student Succeeds Act, foster youth were provided core protections for school stability, meaning that districts need to provide transportation to keep these students in their schools of origin. Many foster youth bounce from school to school, and they graduate at far lower rates than do their peers. “We are not meant to replace school bus companies. We are designing our systems to ride alongside school buses and existing transportation systems. That way we can provide mobility opportunities and access for all kids,” said Qiana Patterson, senior director of public partnerships. In fact, finding innovative ways to partner with the private sector to tackle the biggest transportation issues of the day is something that Metro has been doing through its Office of Extraordinary Innovation. Its unsolicited proposal process has yielded more than a dozen contract awards and proofs of concept for key projects, including the Sepulveda Transit Corridor, a gondola to Dodger Stadium, mobile tolling and bus electrification. 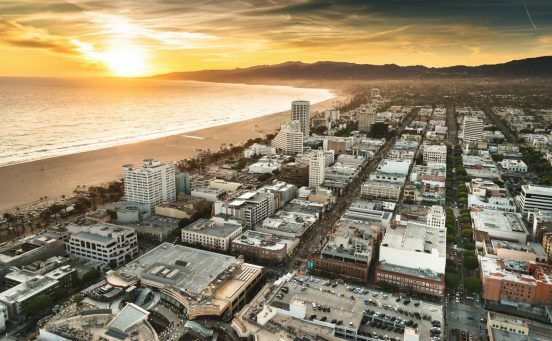 In Santa Monica, the goal of reducing greenhouse gas emissions, along with the rise of electric scooters, drove city officials to authorize a pilot program to offer more mobility choices and gain a better grasp on the use of shared public space. Declining ridership has also forced many public agencies to adopt innovations to improve transit. In Everett, Massachusetts, a pop-up bus lane is being utilized to improve mobility and connections to major nearby destinations like Boston. Instead of conducting traditional outreach, City Planner Jay Monty said a pilot project incorporated outreach and gleaned real-time public feedback. The part-time lanes only for buses went quickly from pilot project to a statewide model, and today more than a dozen similar Tactical Transit Lane projects have sprung up across the country as a means of improving mobility. Associate Professor of Urban Planning Michael Manville said that neither new trains or lanes free up space on roads over time. What has worked — where it has been implemented — is congestion pricing. Speaking to the fairness and equity concerns that come up when congestion pricing is discussed, Manville said that not only was the entire transportation system financed regressively through gas taxes, sales taxes and registration fees, but pricing access to roads could produce revenue to offset the costs for low-income individuals. Earlier this year, Metro decided to move forward with a two-year study of congestion pricing, evaluating different pricing methods, including per-mile charges and tolls in specific areas. Even though all the new mobility options may make it seem otherwise, we are not living through a particularly disruptive period of transportation, said Martin Wachs, emeritus professor of urban planning at UCLA Luskin. People have long been using the same language to describe new mobility — from bicycles and jitneys in the 19th and 20th centuries to today’s ridehailing companies like Lyft and Uber, as well as electric scooters. Instead of reacting to technology, Wachs said, agencies should create policy that builds upon the capacity of innovation. Global Public Affairs at UCLA Luskin hosted an informational session for students wanting to learn more about career paths and opportunities in U.S. government and international development. The Feb. 7 event featured guest speakers Cecilia Choi from the State Department, Alfred Nakatsuma of the United States Agency for International Development (USAID) and Jeffrey Janis from the Peace Corps. The three shared personal experiences, answered questions about their respective sectors, and advised students how to pursue futures in international development and government. Choi, U.S. State Department diplomat in residence, discussed the availability of careers in diplomacy, stressing the benefits of combining humanities and writing skills with technical backgrounds in IT or STEM. 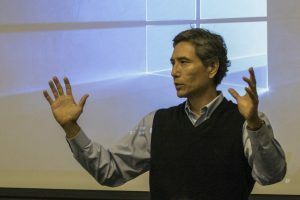 “You have one life to do something meaningful,” said Choi, who has served as the director of trade and investment at the National Security Council, deputy director in the State Department’s Bureau of Oceans and International Environmental and Scientific Affairs, and food safety advisor at the Bureau of Economic and Business Affairs. 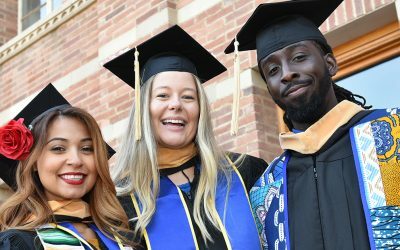 Now a visiting fellow at UCLA recruiting talent for careers in public service and global affairs, Choi is a valuable resource for students interested in learning more about diplomacy and government careers. Nakatsuma will be returning to UCLA during spring quarter. Undergraduate and graduate students gathered to hear about careers in diplomacy and government service. Janis is a returned Peace Corps volunteer who currently works as the UCLA Peace Corps campus recruiter. The Peace Corps requires a 27-month commitment to work abroad, during which volunteers are strongly encouraged to “live at the local level,” Janis said. With 70% of Peace Corps volunteers in their 20s, many returnees go on to pursue careers in foreign service, including with the State Department and USAID. Volunteering for the Peace Corps demonstrates “capacity to work with other cultures,” which is essential to careers in international development, said Janis, who also spent years in the nonprofit sector. Janis is available in the UCLA Career Center to help students interested in volunteering for the Peace Corps through the application process. Choi, Nakatsuma and Janis also discussed scholarship and fellowship opportunities within their respective organizations. They included the State Department’s Thomas R. Pickering Foreign Affairs Fellowship, which offers financial support for recipients in graduate school, guarantees two internships in Washington, D.C., and at an embassy overseas, and includes a five-year employment contract as a Foreign Service Officer. 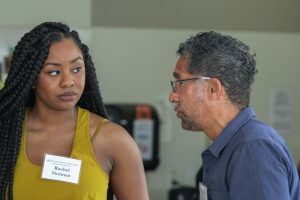 Among the students attending the Global Public Affairs event was Ankhet Holmes, a second-year Public Policy student at UCLA and 2016 Pickering Fellow. The Charles B. Rangel Graduate Fellowship also supports graduate students interested in pursuing a career in the State Department’s Foreign Service Office. USAID offers the Donald M. Payne International Development Fellowship for graduate students interested in working in international development, and the Peace Corps offers scholarships of up to $70,000 for volunteers who attend graduate school. Choi also had advice for undergraduates, urging them to gain work, leadership and volunteer experience in preparation for careers in government and international development. View more photos from the GPA session on Flickr. Record-breaking heat and scorching summer wildfires are signs of a hotter California. As part of efforts to further knowledge and action on climate change, the UCLA Luskin Center for Innovation (LCI) is part of two winning partnership grants ─ totaling more than $4 million ─ awarded by California’s Strategic Growth Council. The Council’s new and competitive Climate Change Research Program is part of California Climate Investments, a statewide initiative that is putting billions of cap-and-trade dollars to work reducing greenhouse gas emissions, strengthening the economy, and improving public health and the environment. Both grants will benefit disadvantaged communities in particular. A nearly $1.5-million grant led by LCI involves multiple studies of heat-related climate impacts, as well as factors that make populations and communities vulnerable, plus opportunities to build resilience. Climate change could exacerbate existing inequities, and LCI will develop tools to help government agencies target responses and empower communities. 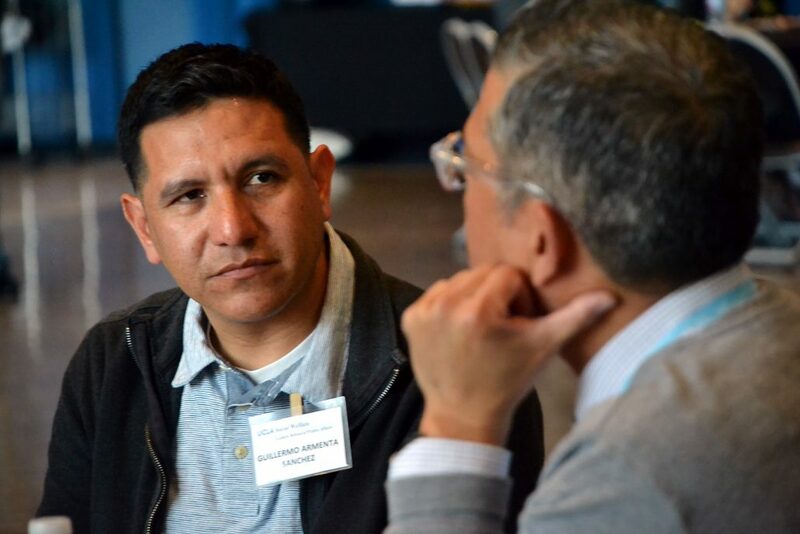 “The goal is to increase the climate resilience of California’s vulnerable communities in the face of rapidly increasing extreme heat events,” said JR DeShazo, the grant’s principal investigator and LCI director. 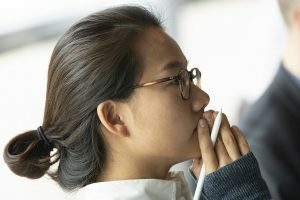 The researchers include R. Jisung Park, an LCI scholar and an assistant professor of public policy and environmental health sciences at UCLA Luskin, who will assess climate change impacts on low-income workers. Gregory Pierce, associate director of research at LCI, will assess the climate risk of vulnerable built environments — including affordable housing — to better inform protective policies. Collaborations with government agencies, nonprofit organizations and community leaders will be integral to the work. For example, civic partners will oversee the development of geographic tools to identify areas disproportionately affected by heat-related climate change and vulnerability factors. Stakeholders will also be able to identify policies, funding and other opportunities to increase resilience in vulnerable areas and among vulnerable populations such as low-income workers and residents. The analysis of resilience opportunities will also be collaborative. A partnership with the Liberty Hill Foundation and community-based organizations will test a coordinated outreach pilot called Opportunity Communities to promote clean and affordable energy, transportation and associated financial assistance for low-income households. Researchers will assess the effectiveness of this strategy to build financial and health resilience to climate change impacts. A partnership grant led by UC Davis and the UC Institute of Transportation Studies will also involve LCI. 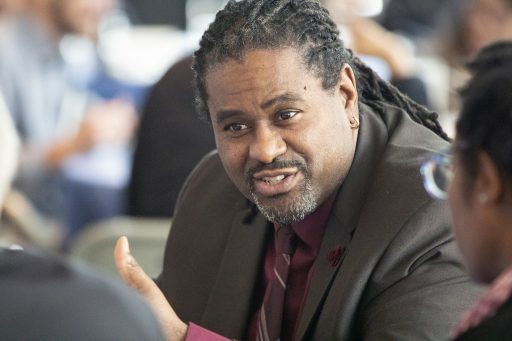 This $2.6-million grant to a multifaceted group of researchers from seven academic institutions will tackle the challenge of transportation-related environmental impacts, which fall disproportionately on low-income communities of color. Researchers will seek solutions that reduce emissions and improve the mobility and quality of life for California’s most vulnerable communities. LCI will collaboratively study interrelated areas of innovative mobility, electrification and freight movement, using equity and policy engagement lenses as crosscutting themes. Research will center on regional case study initiatives and statewide initiatives to demonstrate findings. The Strategic Growth Council brings together multiple agencies and departments to support sustainable communities emphasizing strong economies, social equity and environmental stewardship. For updates during implementation of the latest grants, see LCI’s climate action program at innovation.luskin.ucla.edu/climate. Amid debate over extension of California’s cap-and-trade program aimed at reducing greenhouse gas emissions released into the environment, researchers from the Luskin Center for Innovation (LCI) at UCLA studied and quantified the number of jobs supported from the statewide initiative known as California Climate Investments, funded by cap-and-trade revenues. 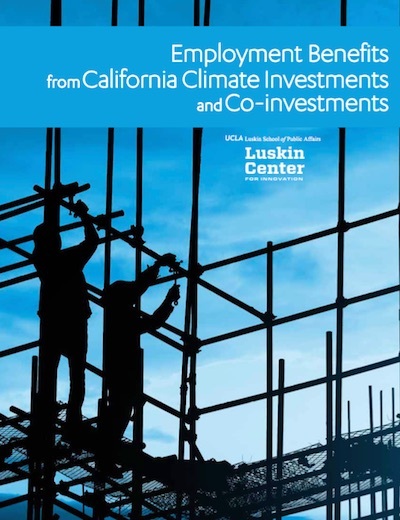 The Luskin Center for Innovation has now released the new study as California considers the job training and workforce development needed in a lower-carbon economy under 2017’s Assembly Bill 398, which extended the state’s cap-and-trade program. The report “Employment Benefits from Climate Investments” focuses on the $2.2 billion appropriated between 2013-14 and 2015-16 to support 29 programs created to reduce greenhouse gas emissions while providing local economic, environmental and public health benefits. The programs include investments in public transit, clean vehicles, transit-oriented affordable housing, clean energy for low-income communities and ecosystem restoration. Many of these programs also induce consumers, businesses and government entities to contribute matching funds. The largest example of induced co-investment is the $3 billion in federal funding for California’s high-speed rail project, which would not be available without the state’s match in cap-and-trade auction proceeds, according to the researchers. “We found that the $2.2 billion in California Climate Investments supports about 19,700 jobs, and $6.4 billion in induced co-investment supports an additional 55,900 jobs, for an estimated total of more than 75,000 jobs in California,” said JR DeShazo, the principal investigator of the study and director of LCI. Jobs supported by California Climate Investments are diverse and cut across many different industries and economic sectors, ranging from the manufacture of clean vehicles to the restoration of degraded wetlands, according to the study. 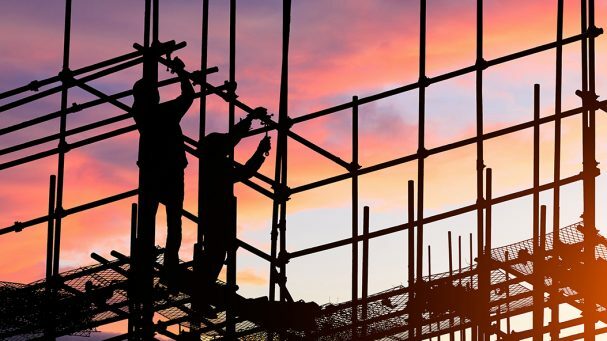 Of the many economic sectors directly impacted by California Climate Investments, the construction industry stands to gain the most (54 percent of total jobs), according to the report. This is because of the significant level of investment going toward the construction of public transit systems and the construction of multiunit affordable housing near transit, among other investments. The sector receiving the second-highest number of job gains due to investments is architectural, engineering and related services. Impacted industries employ both blue-collar and white-collar workers. For example, the architectural and engineering sector is known for creating white-collar jobs that pay middle-class salaries. Many blue-collar construction jobs funded by California Climate Investments are covered under the state’s prevailing wage law and requirements for enrollment in state-certified apprenticeship programs. This system is designed to ensure that public works construction jobs resulting from California Climate Investments support broad occupational training and provide family-supporting pay and benefits to workers. “The industry-level findings in this study can be a springboard for better understanding the quality of jobs that are supported by large public investments in greenhouse gas reductions,” Karpman said. The modeling tool used for the LCI study focuses on quantifying job flows rather than providing granular detail about job quality, training, access for workers in disadvantaged communities and other important components of employment benefits. 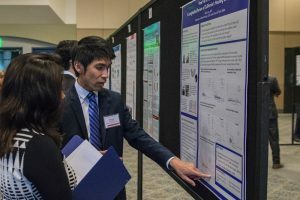 Because the study identifies the industries involved in each California Climate Investment program, it could be used to more deeply analyze job quality metrics that characterize those industries, including pay, benefits and career advancement opportunities. The study found that the California Climate Investment programs that generate the most jobs in California (per million dollars invested, as determined by their employment multiplier) devoted a greater share of investment dollars to services rather than materials. In addition, the employment multiplier of a program was also positively influenced by the share of investment dollars going to firms based in California rather than to out-of-state firms. “The findings could inform recommendations for legislators and agency leaders interested in maximizing the number of jobs supported by California Climate Investments,” DeShazo said. 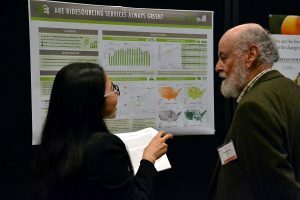 The researchers note that state agencies could design or update programs to involve sectors with high employment multipliers, such as social services, agriculture, forestry, engineering and construction. Administering agencies could also consider incentives for grantees that contract with vendors located in California and stipulate that they purchase materials manufactured in California, when possible. The findings suggest that these considerations, along with job quality considerations, could help the state ensure multiple employment benefits from its future investments. The amount of California Climate Investments appropriated annually has increased significantly since the study period’s $2.2 billion, to a total of now $6.1 billion. Last December, Los Angeles and the greater Southern California area faced many major fire events, including the Skirball and Thomas fires, that caused tens of millions of dollars of damage to hundreds of thousands of acres and hundreds of buildings. Severe fire incidents such as these leave an impression on some people that all wildfires can be nothing but catastrophic. But the rich history of benefits, losses, debates, policy initiatives and research demonstrate that wildfires are so much more than what meets the eye. 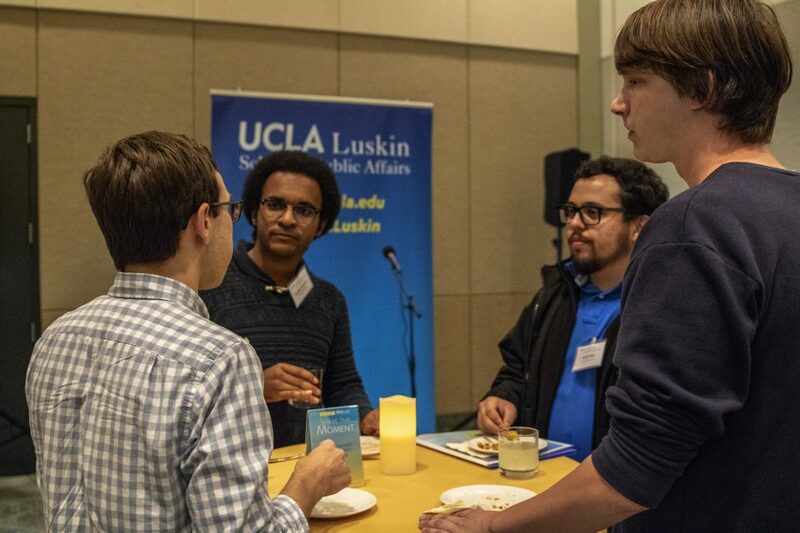 Wildfire was the topic of discussion on April 19, 2018, at UCLA Luskin. Fronting this event was Edward Struzik, a fellow at the Institute for Energy and Environmental Policy at Queen’s University in Kingston, Canada, and author of the book, “Firestorm: How Wildfire Will Shape Our Future.” Struzik detailed the history, science and approaches taken to control wildfires over the past couple of centuries. He also pressed for a hybrid approach to wildfires that moves us away from the longstanding policy of fire suppression toward fire management. “Fire rejuvenates forests by removing disease-ridden plants and harmful insects from forest ecosystems, and yet fire continues to be demonized. … The big problem is that we have not been able to figure out how to live with fire,” Struzik said. Wildfire incidents have become increasingly powerful and widespread, he said, and in turn have become increasingly difficult to contain. This amplifying issue can be attributed to factors such as global climate change, invasive trees and shrubs, arctic sea ice changes, and, especially, human behavior. As the human population increases, communities grow and spread. As more people spend more time in forests, fire risks increase dramatically. He added that preparation is crucial in communities that are at risk of wildfire, so that people understand that we are unable to stop all fires. He argued for improved early warning processes and clearer evacuation protocols. Struzik also proposed doing more controlled burns and allowing remote wildfires to run their course to safely deplete the fuel for these fires and enhance forest ecosystems. The future is projected to become increasingly dangerous if fire suppression remains dominant. As arctic sea ice continues to diminish, Santa Ana winds will become dryer. Struzik says that our best option is to adapt and embrace “good fire”; otherwise, the “bad and the ugly fires” will prevail. Following the lecture, a panel of experts expanded on the subject matter. Chief Ralph Terrazas of the Los Angeles Fire Department detailed the hard work and strain that California fire departments have experienced in recent years, including last December when multiple fires raged at once. Terrazas emphasized the importance of larger policy reforms to reduce fire incidents and stretch fire combat resources when homes and lives are endangered. “It is about changing the way we think when we live in these environments,” said Beth Burnham, a founder and current member of the North Topanga Safe Fire Council. Burnham argued that when people live in fire-risk areas like many parts of Southern California, they must make fire readiness and preparation a priority. Alex Hall, a professor in the Department of Atmospheric and Oceanic Sciences and director of the Center for Climate Science at UCLA, drew on his work in climate science in adding his perspective. “In California, there is this tremendous sensitivity of fire to climate and weather. Because climate and weather are changing, that means fire is also changing,” he said. When the conversation was opened to the crowd, topics included technical inquiries from workers in water management as well as personal anecdotes about safety in communities that have previously been impacted by fire incidents. The panel reiterated the need to be prepared and have a plan for fire incidents, but attendees were also urged to work at the community level to promote change on a wider scale. 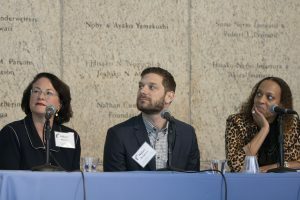 The event was organized by the Luskin Center for Innovation as part of the UCLA Luskin Innovator Series. A Showcase for Research by Urban Planning Students The annual Careers, Capstones & Conversations networking event highlights activities that welcome newly admitted students to UCLA Luskin Urban Planning and give them a preview of what the future holds. Public Policy and Social Welfare host their own Welcome Day events. Britta McOmber wants to know “What’s the Dam Problem?” in terms of flood risk in California. Shine Ling wants to know “How Fair is Fair-Share” when it comes to housing law in California. Sabrina Kim asks, “Still No to Transit?” looking at areas in Los Angeles County that do not meet their full transit commuting potential. 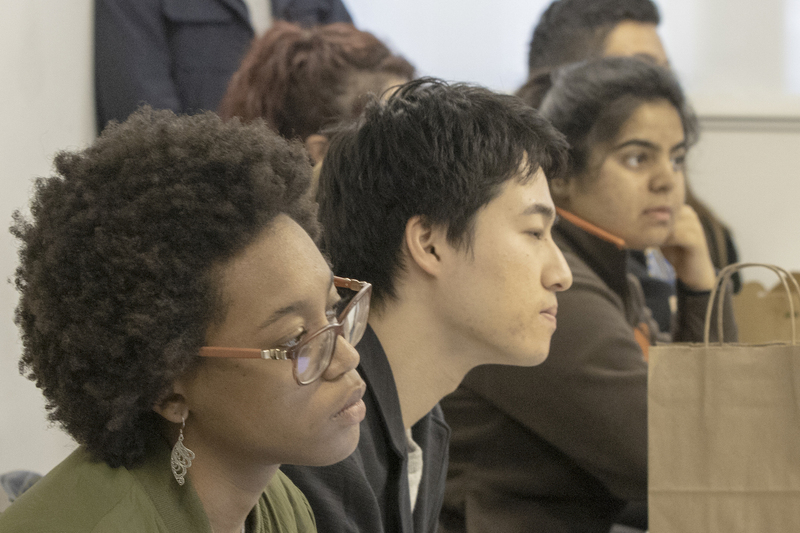 Questions like these launched 36 research projects that brought together Master of Urban and Regional Planning (MURP) students with clients to produce research projects that address a specific planning issue. The second-year students, completing their required capstones, showcased their work at the annual Careers, Capstones & Conversations (CCC) networking event held April 5, 2018, at UCLA’s Covel Commons. 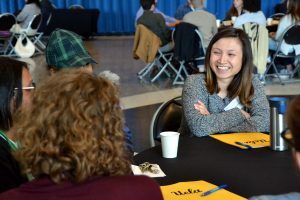 The event followed a day of welcoming activities for newly admitted UCLA Luskin Urban Planning students, who had the opportunity to view the projects and interact with current students, as well as faculty and staff. Newly admitted student Bradley Bounds II said his interest in urban planning is local. “I want to work on building up my community,” said the Compton resident. “I’m looking more toward open space projects; I’m looking for transportation projects and economic development,” said Bounds, who enthusiastically affirmed his intent to join the new Urban Planning class in fall 2018. Project clients include governmental organizations, local agencies and cities, as well as private planning and design firms and nonprofit organizations concerned with regional, state and national urban issues. 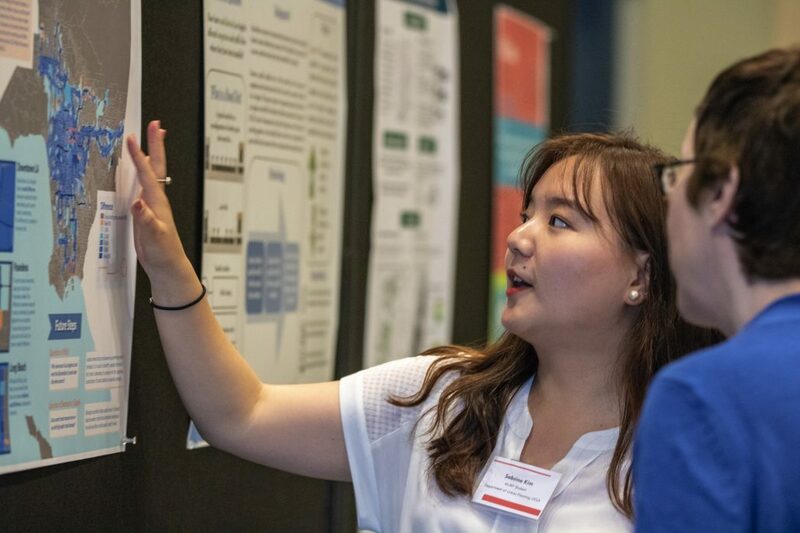 In addition to engaging titles, the projects — produced individually or in teams — include solid research and data that has been analyzed and put into context by the students. Topics included transportation, housing and social justice issues, including foster care in the region and environmental, resource conservation and energy challenges. At CCC, the students pitch and support their approaches via posters that frame the issues and their proposed solutions. 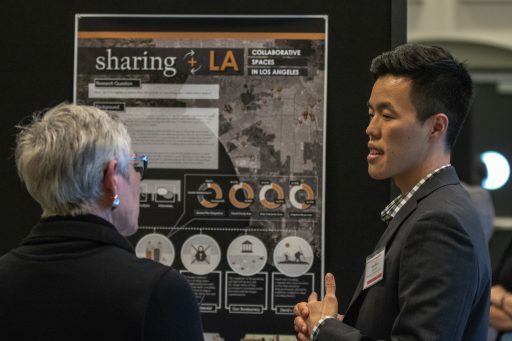 UCLA Luskin Urban Planning faculty, alumni and Luskin Senior Fellows were on hand to evaluate the projects displayed in Covel’s Grand Horizon Room. 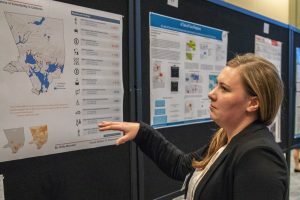 McOmber, who has studied coastal cities and flood risk resulting from rising sea levels, as well as designated flood plains, said her project was inspired by last year’s Oroville Dam overflow incident in Northern California. “There are quite a number of dams and large reservoirs in L.A. County,” said McOmber, explaining that, from the perspective of Oroville’s near disaster, the state faces a broader problem of dam and water storage infrastructure that is aging, underfinanced and sometimes not well-maintained. “I noticed that there really wasn’t any information on dam flood zones, so I thought that was an area that’s lacking in the academic field and also very relevant, not only for California, but I think more broadly for the country,” she said. Her project also looked at who may be impacted based on factors such as income and education. For example, McOmber asked whether socially vulnerable households are more likely to live within dam flood zones in California. She found that almost 50 percent of households in these areas are Hispanic or Latino. In Public Policy and Social Welfare, newly accepted graduate students were welcomed at daylong events designed to introduce them to the School and provide information about topics such as program content and financial aid. 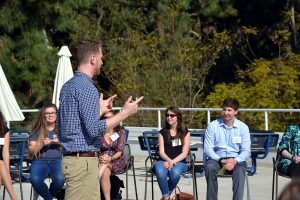 They got a day-in-the-life experience at UCLA Luskin through lectures, breakout sessions, tours and informal social gatherings. UCLA was the top choice for many of the students attending the April 3, 2018, Welcome Day for newly accepted students in UCLA Luskin Social Welfare who learned about topics such as public child welfare stipend programs and social welfare field education. “I’ve already decided on UCLA,” said Nancy Salazar, who joined other admitted students for roundtable discussions with UCLA Luskin faculty. Salazar, who also has a master’s degree in public administration, said that in addition to a focus on social justice, she was attracted by the leadership aspect of the program. For Guillermo Armenta Sanchez, UCLA was the only choice. “That’s the only one; that’s where I’m coming,” said the Long Beach resident who is interested in focusing on mental health. 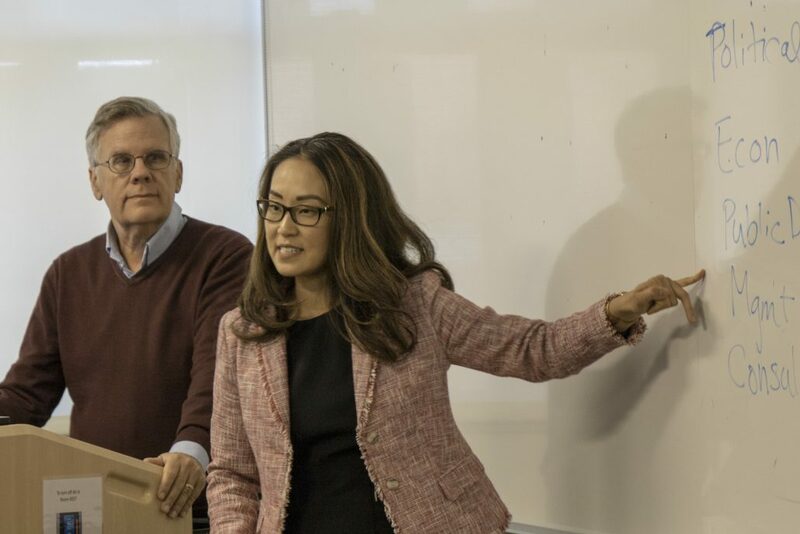 At the Master of Public Policy (MPP) Welcome Day on April 9, 2018, J.R. DeShazo, department chair and professor of public policy, provided introductory comments and introduced faculty and staff to incoming students. “At Luskin, you are making a commitment to mastering a very challenging set of policy tools,” said DeShazo, who also serves as director of the Luskin Center for Innovation, the state’s premier environmental policy research center. The new cohort of policy students gathered at the School to participate in a number of informative activities that included an ice-breaking exercise and an inside look at student life and the strengths of the UCLA Luskin program as presented by a students-only panel. 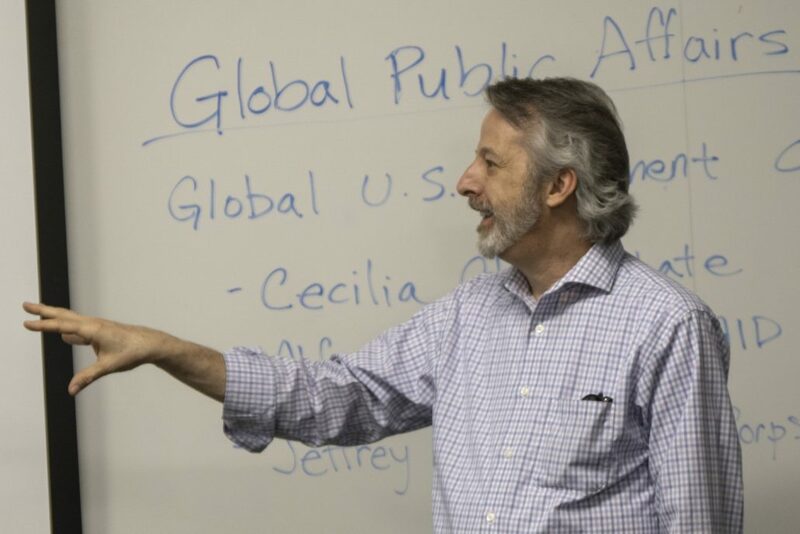 An invitation to Professor Michael Stoll’s Methods of Policy Analysis course was included, as were a variety of student-led breakout sessions on policy areas such as education, criminal justice, the environment, international issues and transportation. The conversations continued into a lunch with members of the faculty. 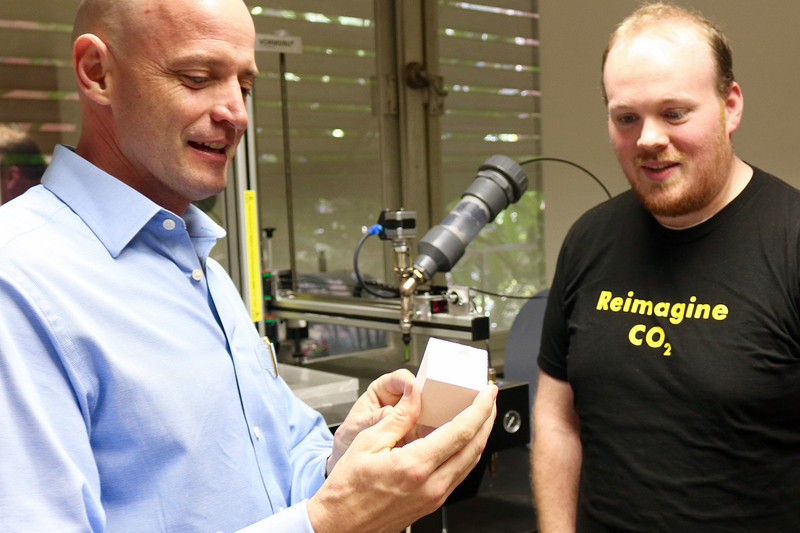 DeShazo advised that the two-year graduate program goes quickly and that students are soon thinking about what’s next. “One of the things we’re very committed to — alums are committed to, our office of career services is committed to — is providing you with the internship opportunities and the alumni connections that will help you get a great job coming out of our program,” DeShazo said. 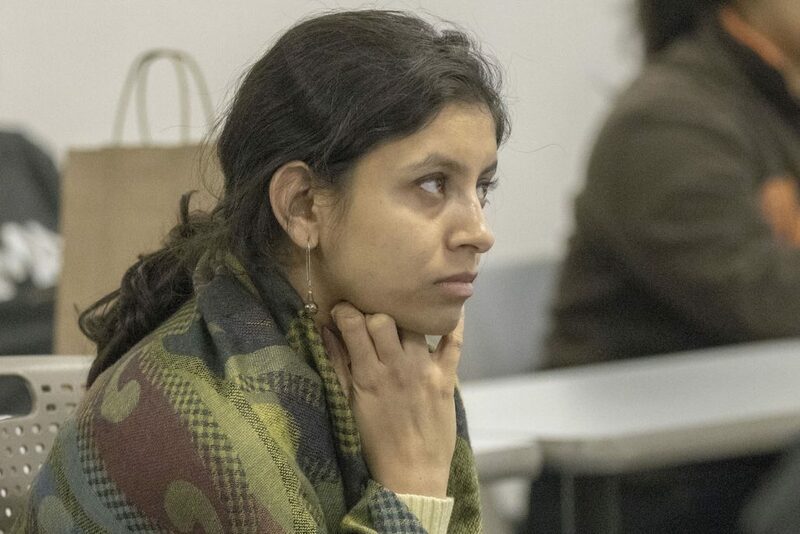 “You are invited to start to develop your CV, practice in your interviewing skills, your public speaking skills, honing and refining your networking skills. The gender imbalance of transportation planning — a field traditionally dominated by men who designed a system that too often falls short for women and families — was the subject of the second installment of the ongoing Institute of Transportation Studies (ITS) discussion series Transportation is a Women’s Issue on March 7, 2018. Policymakers, practitioners, scholars and students gathered at the Japanese American Cultural and Community Center in downtown Los Angeles for a panel featuring Seleta Reynolds, Los Angeles Department of Transportation (LADOT) general manager and ITS advisory board member; LA Metro Deputy CEO Stephanie Wiggins; and UCLA Luskin Urban Planning Professor and ITS faculty fellow Evelyn Blumenberg. Moderating was Investing in Place Deputy Director Naomi Iwasaki. The transportation system is fundamentally designed to accommodate a 9-to-5 work schedule traditionally associated with higher-income men, panelists said. Even as women’s participation in the labor market has surged, that system continues to ignore the needs of travelers at off-peak hours and those with complex trip-making patterns, who are much likelier to be women, especially lower-income women, they said. Women and men travel similarly in terms of mode, but Blumenberg said that the purposes are often different: Women make more trips that serve their household — a “trip-chaining” form of travel that can include multiple stops on the same tour — in addition to commuting. In Los Angeles and beyond, work and household trips usually require access to a car. Transit agencies attempt to reduce congestion by focusing on service during traditional peak commute hours, Reynolds argued, ignoring off-peak travel that could benefit women. “If what you are solving for is the peak, the peak, the peak, then you’re never going to have a system that has reliable, frequent, comfortable service at the times of day when women need it the most,” she said. Wiggins said that, too often, transit agencies such as LA Metro have adopted supposedly gender-neutral plans that fail to account for the different travel patterns of women. To that end, LA Metro’s CEO has approved a recommendation from the agency’s women and girls council to gather data about female passengers and hire a consultant to help develop a gender action plan. As LA Metro embarks on a next-generation study to revisit its bus network amid dramatic ridership decline, Wiggins said that women must be at the table for all levels of decision-making — not just in leadership roles but also in conducting the studies or scheduling service changes. Further research into female travel patterns is required to understand what women and families need and to persuade the federal and state agencies that fund transportation projects to emphasize those needs. Improving transportation safety is critical for women’s travel. A survey of former riders cited safety as their primary reason for leaving the system, and Wiggins said that LA Metro now examines safety concerns through the lenses of sexual harassment and design. New campaigns with Peace Over Violence and local law enforcement agencies aim to crack down on harassment while applying a gender lens to design. Results could include better lighting at bus stops and transit stations, creation of accommodations for strollers, and changes to where passengers sit on buses and trains to minimize unwanted contact. Blumenberg noted that better off-peak service requires safer conditions getting to and waiting for transit — lower-income workers are more likely to need to travel at night but often feel unsafe using the bus or train at those times. Reynolds pointed out that too many futurist conversations about the potential benefits of automated buses and rideshare vehicles fail to recognize that many women will not feel comfortable without a driver, who acts as a chaperone. Reynolds said that her department’s new strategic plan includes a concerted effort to understand what women are looking for from their transportation system. Then, implementation of pilot programs could lead to larger changes. LADOT plans to start with after-school transportation, a burden that now largely falls on women to arrange as a result of long-term school budget cuts. A pilot electric car-sharing program in the MacArthur Park neighborhood incorporated local women’s requests for features such as carseats and the ability to add elderly caregivers to family service accounts. Moving forward, a more comprehensive and inclusive approach to transportation planning is needed, panelists said. That approach should factor in the economic benefits of car access, better off-peak transit service and bike infrastructure catered not just to male preferences, and much more. Policymakers, practitioners, scholars and students gathered at the Japanese American Cultural and Community Center in downtown Los Angeles for the panel discussion.